Is it wrong to use Microsoft products on Linux? 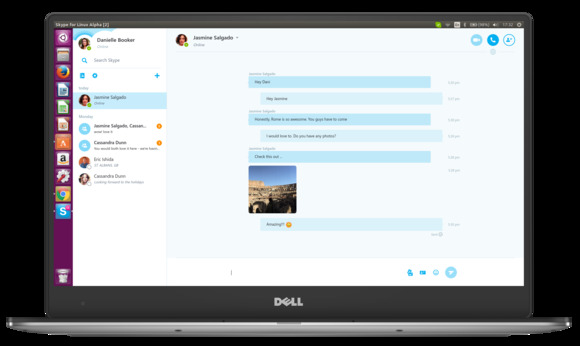 Linux and Chromebook users now have new versions of Skype to play with. Microsoft launched an alpha version of a new client for Linux on Wednesday, in a push to get users of the open-source operating system to make video calls and send messages with Skype. There was a Linux client available for the service previously, but this launch is a move by the company to get users of the operating system on the latest version of Skype. Users will get a new interface, emoticons, and a file-sharing interface. Chrome users will be able to use web.skype.com to make calls from Google's web browser and desktop operating system starting Wednesday, too. Like the Linux client, the new Chrome client is still in alpha, so there are likely to be bugs, along with missing features. These launches are important as Skype faces increased competition in the messaging and digital calling space. Apps like Slack, WhatsApp, Facebook Messenger, and Google Hangouts have all either built or are building voice and video calling functionality into their services. The new Linux app allows users to connect with other people using the latest versions of Skype across many other platforms. But it's based on new calling architecture that makes it incompatible with the previous version of Skype for Linux and some older versions of Skype on other platforms.